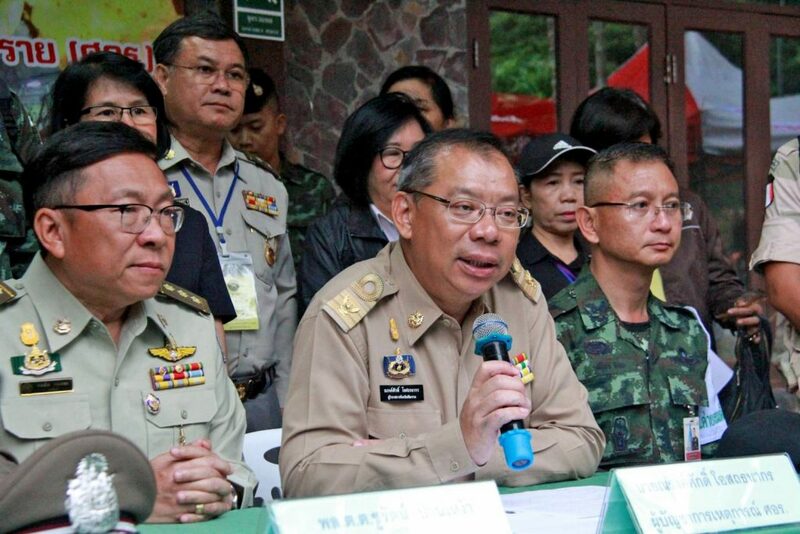 Narongsak Osottanakorn, chief of the rescue operation, is saying that conditions are ‘perfect’ for an attempted evacuation. He says that the weather should be OK, in the next few days, for an attempted evacuation. Any longer than this and the rains will return along with conditions inside the cave becoming more challenging as well. This is a more upbeat mood than his last media conference last night. Whilst the immediate problem of fresh oxygen into the cave has now been solved – rescuers have established a series of lines pumping fresh air into the chamber where the team is – the rising levels of carbon di-oxide is now becoming a looming challenge. The “Wild Boar” football team, and the ongoing drama to get rescued from the caves, is world-wide headlines now. 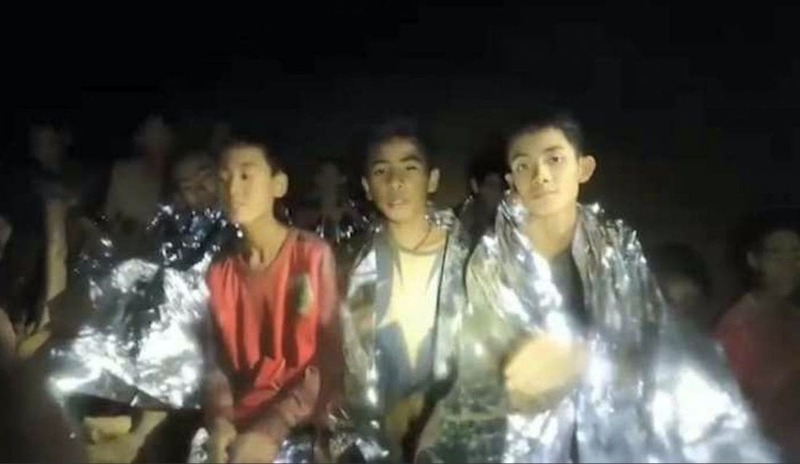 They became trapped in a cramped chamber of the Tham Luang caves two week ago. 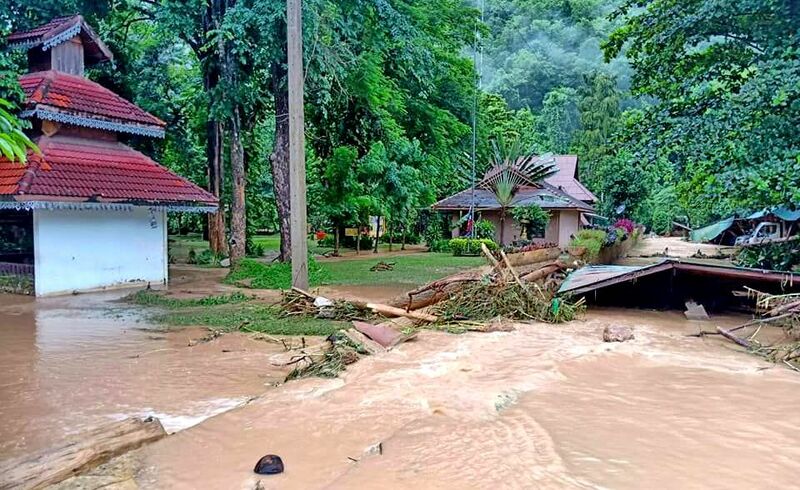 Rescuers say the evacuation of the boys is a race against time with monsoonal rains expected to start soon which will undo the last week of good work pumping out water from the exit route. 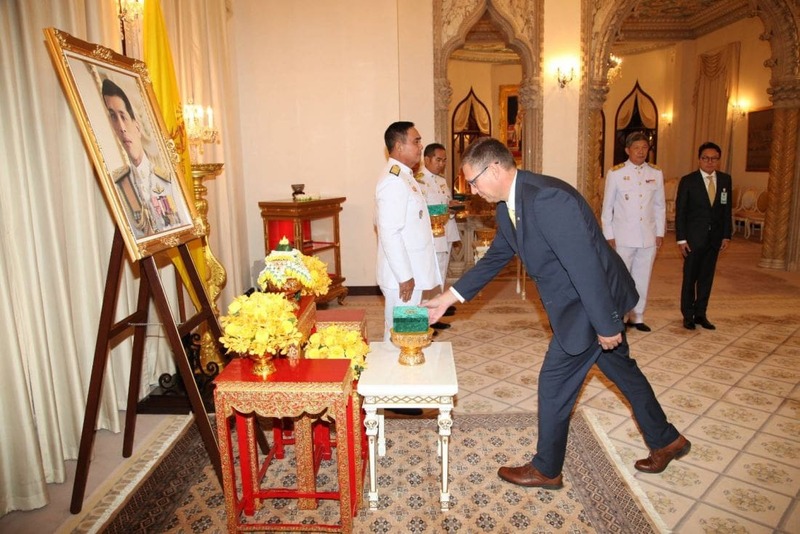 Narongsak Osottanakorn says that now, and in the next three or four days, the conditions are perfectin terms of the water, the weather and the boys’ health. This represents a change of heart compared to last night’s oddly timed media conference at midnight where he said things were ‘urgent’ but didn’t raise the prospect of an evacuation by diving and trekking as a viable alternative, partly due to the tragedy earlier in the day when it was announced that a 38 former Thai Navy SEAL had died whilst making his way out from the boy’s current location. He also spoke about the rise of waters in the spot where the boys are currently sheltering if the floodwaters started rushing into the caves again. 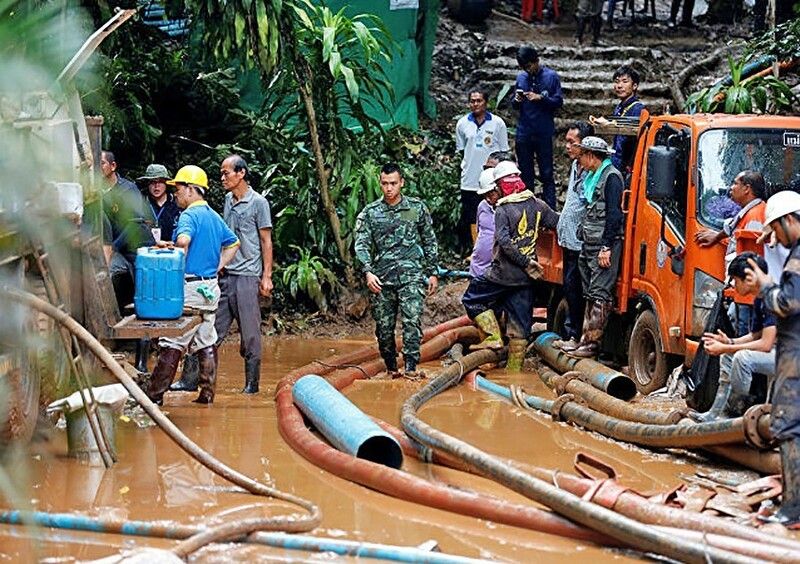 Rescuers have estimated that the muddy area might shrink to less than 10 square metres if the waters were to rise again making the situation inside the cave less and less attractive from a long-term basis. Earlier today Thai Navy SEALS posted touching notes written by the footballers to their families. Birthday parties and food are on their mind. Sompong Jaiwong (Pong): I love you dad and mum. Don’t worry. We are all safe now. Love you all. Phanumart Saengdee (Mik): Don’t worry about me. I miss you all, grandpa, aunt, mother, dad and siblings. I am happy inside here. The SEALs take good care of me. Love you all. Ekkarat Wongsukchan (Bew): Don’t worry about me, dad and mum. I’ll be away for just two weeks. I’ll later help you, mum, sell goods when I have time. I’ll rush out of here. Risks in any evacuation of the team, by diving out the way they came in, were underlined by the death yesterday of a 38 year old former Thai Navy SEAL diver, who ran out of oxygen while returning from the chamber where the boys are trapped. Saman Kunan had been trying to establish an air line to the chamber when he lost consciousness and died.